It feels almost as mortifying as waiting in the lobby of your primary school principal’s office, and once you get your first detention, it may seem that no repentance will undo the crime. However, before you end up in your own modern version of The Scarlet Letter, it’s important to understand the circumstances in which your business has suffered dearly before you hand in your resignation. Some of your lost profit may be a consequence of a change in the algorithm such as Panda or Penguin which are introduced over the years and can tamper with your search engine rankings, as well as lower your organic traffic. When your business unwittingly crosses Google’s new quality requirements are in place, it may seem like an actual penalty, but the latter actually means that you’ll need to go straight to the source and file a reconsideration request. Hard-working squads at Google hand in over 400,000 penalties every month, to make the Web a level playing field for all participants. They manually search for quality gaps in your web presence and penalize companies who do not comply with their latest quality regulations. Then you’ll notice a sudden plunge in your sales, website visitors, and other metrics going haywire, and it’s time to make amends. In case you have received a manual action report via the Google Search Console to notify you of your missteps, congratulations, it’s an official penalty. That means that a member of Google’s trusty search quality team has found something even their algorithm has missed, whether it’s a series of bad backlinks, low-quality content, or spammy comments on your website, and they have reduced your rankings accordingly. On the other hand, with no official reprimand from Google, regular updates of their algorithm can play havoc on your website rankings overnight. Even something as basic and simple as ranking for your own brand name no longer yields to the same results as before, and your website no longer exists in Google’s caches search – these are telltale signs that your website has been affected by the latest algorithm update. When Mobilegeddon was released in 2015, websites that were not designed to be mobile-friendly were severely affected by the algorithm changes, so that those who offer a mobile version would receive better ratings. As for the famous Fred update, Google has used it as yet another opportunity to show just how much they value quality content, as they filtered out the sites that showed signs of affiliate link abuse and other poor SEO practices. Once you have discovered you’ve been penalized or affected by an algorithm change, rest assured that there is a basis for Google’s actions, no matter how difficult it may be to face the music. In order to make any meaningful changes to your website before you reach out to Google with your request to lift their penalty, you need to check with Google Webmaster Tools to find the exact source of the problem. Find “Manual Actions” under “Search Traffic” to check if there is an actual penalty in place, and they will always let you know the general cause of their actions. Some of the most common issues include keyword stuffing and content of no value, a poor content practice of bygone times when marketing experts were unaware that Google is an evolving beast. 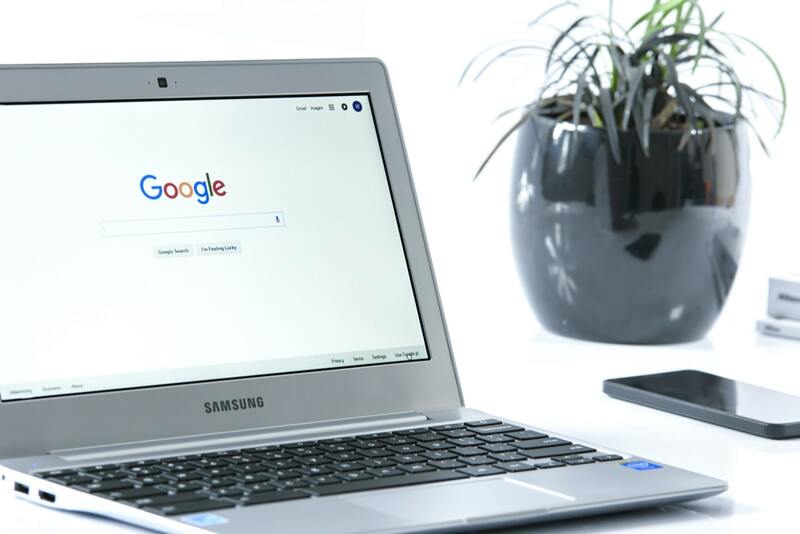 Google likes websites that are useful and that offer merit to their searchers, but since competition is strong, many websites resort to rewriting and recycling their own content, as well as posts found on other better-ranking sites. Of course, we must not forget by far the most notorious violation in Google’s book, also known as unnatural backlinks. For companies that have been in the game for decades, manually checking and disavowing the links that have caused the mess in the first place is not just time-consuming but downright impossible, so it becomes essential to create a penalty removal strategy that will both prevent and help minimize the consequences of such issues arise. Speaking of penalty removal strategies, Hong Kong SEO experts from Elevate Digital suggest that one of the first things you will notice is a great deal of lost traffic. What you should do next is determine what kind of penalty did you endure as well as identify all the other symptoms. Only then, when you have analyzed the situation and accepted all the changes, can you make the list of possible options and conclude the severity of the problem. Since the process can take months, it is crucial to act as promptly as possible. What was meant as a means to lead to better click-through rates and better SERP rankings has turned out to be labeled as unacceptable by Google’s standards, and it now calls for changes. Dealing with penalties, fixing backlinks, and removing spammy content is only one piece of this complex puzzle. What becomes even more pivotal is to focus on creating an all-encompassing online approach that will not cause such glitches, or at least reduce the possibility of their occurrence. Massive companies with a multitude of websites that publish new content on a daily basis rely on their own “spiders” to mimic the crawling that Google performs, in order to notice any issues before the big G. They are designed to point to any basic website errors and “double trouble” content so that you can avoid days or weeks of manual research. Monitoring your link profile is another good way of staying on Google’s good side. It’s not just unnatural backlinks you should worry about, although they do make up for the largest portion of manual penalties out there. Keep in mind things such as broken backlinks from outdated pages, and links to your site sitting on a website in a different language, as well as balancing the number of outbound links you’re including in your content. Many of these penalties (both manual and automatic) could be downsized if not completely averted by applying what Google considers as best practices in website creation and maintenance. Their focus in on your website visitor, so it makes sense that they ought to refine the over one-billion-strong database that keeps growing by the second. Their purpose is to find a handful of top-quality, honest, trustworthy businesses that a searcher is looking for based on just a few simple words. To serve that purpose, Google will keep improving their filtering systems, thus keeping track of their algorithm changes is not just beneficial for your customers, but it’s simply good business. Striving for excellence in every aspect of your business without resorting to shortcuts may not be an overnight way to launch you to the top of the search page, but it sure will prevent penalties and months of recovery work on your hands. How GDPR Will Affect Drone Based Photogrammetry ? Good post with very detailed information. It is important to know the the reasons why Google may penalized you. That way we can work on our site and avoid it. Content is the king which is an old saying and it still holds good value. We should work on our content and try to provide value to our visitors. What an amazing post. It is important for all webmasters to follow Google’s directives in order to avoid any penalty. You have shared good information regarding it which will benefit lot of websites. This is really very helpful guide ! Actually i was searching for all the tips how can i recover my site from google penalties so found this . Actually this is such a informative and helpful guide to me.